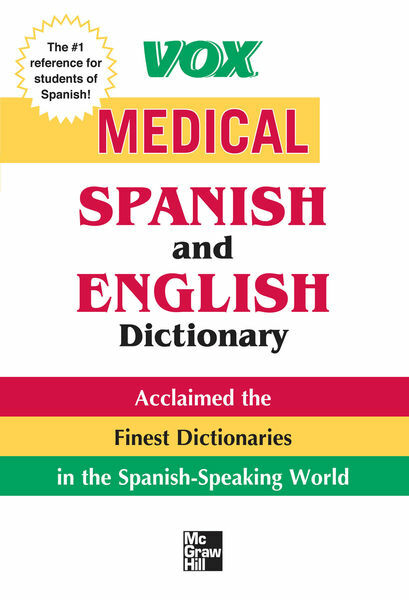 From the most successful bilingual dictionary range in North America comes this dictionary that equips you with the medical terminology you need to know to effectively communicate with Spanish-speaking patients. This book is ideal for a wide range of professionals such as physicians, nurses, physician’s assistants, technicians, therapists, and administrators. And you do not need any previous experience with Spanish. You’re ready to treat Spanish-speaking patients without hesitation. Dictionary, English, Medical, Spanish, Vox permalink.